Wilikins (1972) claimed that a functional and communicative definition of language could actually help develop communicative syllabi for language teaching, while Firth (1950) suggested that a broader sociocultural context, which included participants, their behaviour and beliefs, objects of linguistic discussion and a word choice, should also be taken into consideration while teaching any language. Other theorists (Canale and Swain 1980; Widdowson 1989; Halliday 1970) also stressed the importance of communicative approach to language teaching, particularly the communicative acts underlying the ability to use language for different purposes and the relationship between linguistic systems and their communicative values in texts and discourses. Furthermore, communicative language teaching Approach represents the use of counseling-learning theory to teach languages. 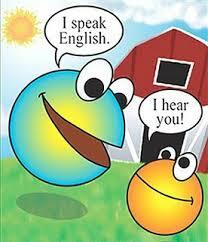 Belum ada tanggapan untuk "COMMUNICATIVE LANGUAGE TEACHING METHOD (CLT) IN LISTENING"